Arizona Commission for the Deaf and Hard of Hearing offers many of the services online that you might otherwise transact in person. Our goal is to provide citizens with a more convenient and efficient means in which to interact with resources. If at any time you choose not to proceed with a transaction offered through the Arizona Commission for the Deaf and Hard of Hearing Portal, your choice will in no way affect your ability to receive benefits or services. If you prefer to apply for benefits or services in person, you may do so at the respective State agency providing such benefits and/or services. We use this information to gather statistics about the amount of use the site receives. Again, we do not automatically record information about you as an individual. This information is not shared, sold, or otherwise disseminated by Arizona Commission for the Deaf and Hard of Hearing. Information collected from an application submitted online will be treated in the same manner as the information collected from an application submitted on a hard copy to the applicable State agency. The information you disclose to the agency (either through Arizona Commission for the Deaf and Hard of Hearing or directly) will generally become a matter of public record pursuant to A. R. S. 39-121, et seq., which means that the agency may be required to divulge certain information in response to a public records request or in response to a warrant, subpoena, or other court order. The applicable State Agency website may require that you enter personal information (e.g., your name, home address, birth date, and social security number when applying for certain benefits and services described on that website. Those services may also reference common infrastructure utilities that are provided by Arizona Commission for the Deaf and Hard of Hearing. These utilities provide the agency with a means to obtain specific information or to facilitate a specific functional requirement of the online transaction being requested. As an example, Arizona Commission for the Deaf and Hard of Hearing maintains a central credit card payment interface that agencies can use as part of their online services applications. This utility will accept only the pertinent credit card authorization data necessary to validate and fulfill the purchase. The cardholder's name, credit card number, and expiration date are obtained by the utility and used only to complete the credit card payment portion of the online transaction. The data is used only for the fulfillment of the payment and is not retained by Arizona Commission for the Deaf and Hard of Hearing. Not all agency online applications use the services of Arizona Commission for the Deaf and Hard of Hearing, nor are they required to. Please be assured that your personal information will be held in strictest confidence while Arizona Commission for the Deaf and Hard of Hearing processes your online transaction and will not be shared, sold, or otherwise disseminated to any outside person or entity, except as required or authorized by law. Please refer to respective benefits and/or services webpages of each individual agency for disclosure of when, how, and to whom specific information will be released to third parties, as specified by A.R.S. 41-4152 (5) and (6). If you have further questions regarding how a State agency will use the information you submit online, please contact the applicable agency directly. Third party organizations contracted with the State of Arizona may provide certain services available on the state's behalf. 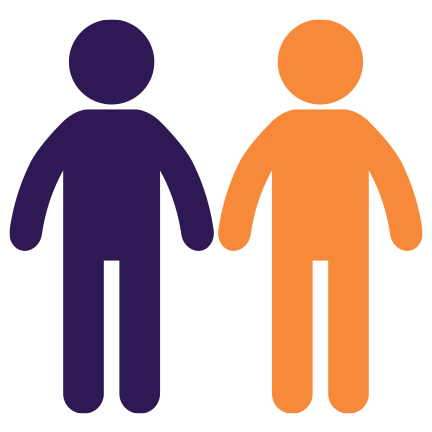 Personal information collected through the web portal and/or over-the-counter may be provided to third party service providers to help the state deliver benefits and services. The state will take prudent steps to ensure that third-party organizations are obligated to secure and protect personal information on the State's behalf. Arizona Commission for the Deaf and Hard of Hearing, its consultants, as developer and manager of Arizona Commission for the Deaf and Hard of Hearing web portal, have taken several steps to safeguard the integrity of its computer systems and networks. These steps include, but are not limited to individual authentication, the security of transmitted data, security monitoring, auditing, and encryption of your information. 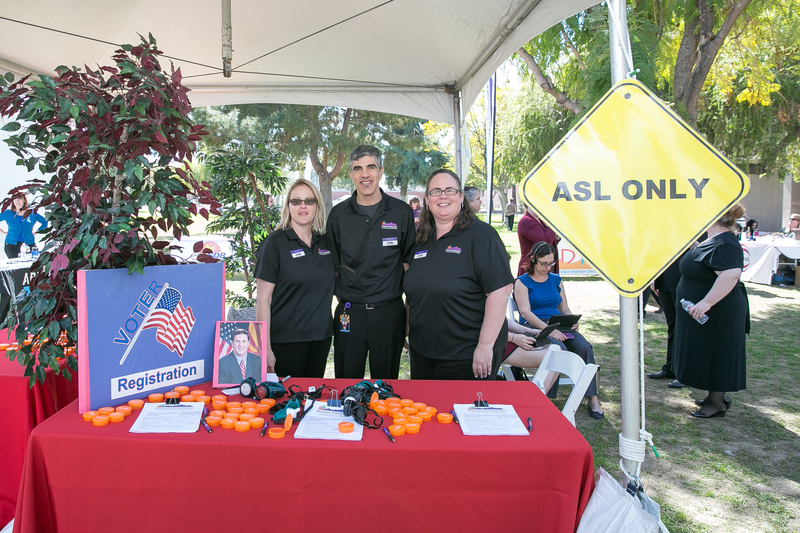 Security methods and measures have been integrated into the design, implementation and day-to-day practices of the entire Arizona Commission for the Deaf and Hard of Hearing web portal. Neither the Arizona Commission for the Deaf and Hard of Hearing, nor any agency, officer, employee, or contractor of the Arizona Commission for the Deaf and Hard of Hearing warrants the accuracy, reliability, or timeliness of any information published by this system, nor endorses any content, viewpoints, products, or services linked from this system, and shall not be held liable for any losses caused by reliance on the accuracy, reliability or timeliness of such information. Portions of such information may be inaccurate or outdated. Any person or entity that relies on any information obtained from this system does so at his or her own risk. In the event of a security breach of personal information and after relevant law enforcement agencies have determined that notifications to the public will not impede a criminal investigation or threaten state and/or national security, the responsible State Agency, Board, and/or Commission will notify its clients/recipients in the most expeditious manner possible (i.e., first class mail and/or email) that is in compliance with federal and state laws. This policy may be updated or revised from time to time, so please check back with Arizona Commission for the Deaf and Hard of Hearing periodically in order to receive advance notice of any substantive changes to the manner in which the information you disclose on this website may be collected, used, or disseminated.